CLT | Design, Supply and Erection of fully integrated building solutions using Glulam Engineered structures. 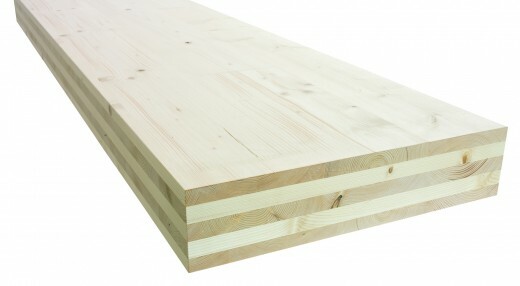 Cross Laminated Timber (CLT) is widely used across Europe and has been used successfully in the UK since 2003/4 – there are now hundreds of CLT structures across the country; including pioneering buildings such as Stadthaus, Murray Grove and Bridport House, which were until recently the tallest timber structures in the world. Huge, new build schools and academies have been built with CLT and there is now little doubt as to the benefits of this truly Modern Method of Construction (MMC) – the environmental benefits alone make it a popular choice for clients; speed of overall construction greatly appeals to contractors like Kier, Willmott Dixon, Galliford Try etc; whilst design freedom makes CLT the return to material for architects such as dRMM, Waugh Thistleton et al. The questions that may have existed about CLT construction have been well & truly answered, and it is now firmly part of the 21st Century construction world.